On one end, you've got a steel wall defender, the TOG II*. On another, you've got a speed demon with high accuracy, the 59-Patton. Both vehicles are packaged with nice Premiums to keep the tanks in tip-top battle condition. The TOG II* packs comes with lots of equipment to boost the tank's performance. 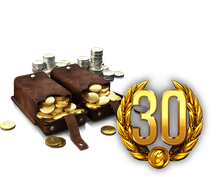 And the 59-Patton Ultimate bundle contains a token that can unlock an easy mission that gives you lots of EXP! With its immense size, slow speed, and thin armor, many players wonder, why buy a TOG II*? Because it’s just plain fun! 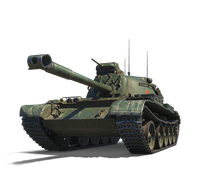 The TOG makes up for weaknesses in size and speed with a truly lethal cannon and having the largest health pool for its tier. 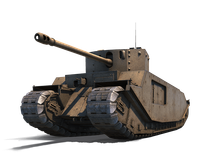 Its high damage and survivability will net you lots of XP and Credits while advancing your British heavy tank Crews.